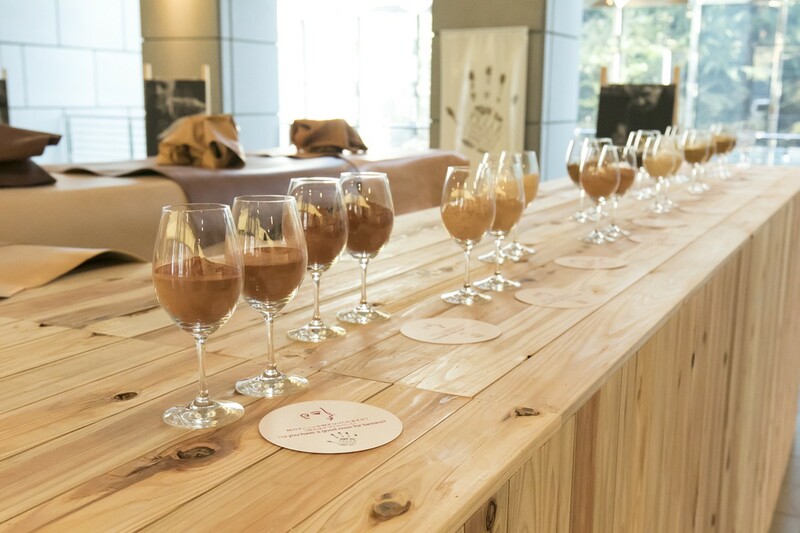 The event arranged by “Consorzio Pelle al vegetale conciata in Toscana” (Consortium Leather vegetable tanned in Tuscany) that took place in Tokyo on the 25 November 2016 was a great success! The event was organized at the Italian Institute of Culture and it dealt with the issue of vegetable tanned leather as a true culture and not only as a simple article aimed to manufacture shoes or leather-goods. The aim was the one of letting the audience (more than 300 guests) be conscious about the fact that vegetable leather is an expression of Tuscany, the region that taught the Beauty to the entire world. The speaker were Mr. Simone Remi, President of the Consortium and other two members of that Mr. Paolo Testi and our Stefano Pinori, Managing Director at Figli di Guido Lapi. At this event, Stefano was representing the tannins manufacturers. He presented the unique characteristics of tannins, their peculiarities and curiosities. Our “olfactory bar” was particularly appreciated by the public. It consisted in a sequence of wine glasses filled with different tannins. The guest had the opportunity to evaluate the shades of tannins, the real soul of Tuscan vegetable leather, from their eyes and from their nose.